Even though Camilla loves lima beans, she pretends that she hates them so that she fits in with her friends, who all hate them. One day, Camilla wakes up covered in stripes. The condition worsens and she starts to become the things that she’s doing or eating, or even what people are saying to her! Camilla’s last hope of going back to normal was to eat lima beans. She was hesitant at first, but knew it was all she could do. After she eats them, she turns back to normal. Camilla learns a lesson about being yourself and not conforming to others’ opinions. In the classroom, this book could be used for teaching lessons and morals about being yourself and accepting others as they are. Students can learn about how they should not be afraid to be themselves and have their own opinions, even if they are different. 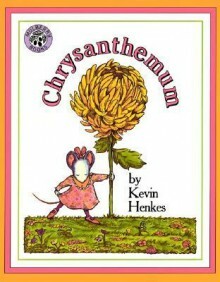 Chrysanthemum by Kevin Henkes, is a great picture book for elementary school. The main character is a young mouse named Chrysanthemum. Her parents wanted her name to reflect her beauty and perfection they see through her, so they named her after a beautiful flower. Later on in the book, Chrysanthemum gets teased by having such a long and uncommon name by her classmates and no longer views her name as beautiful. Towards the end of the book, her parents console her and tell her she is absolutely beautiful and unique, then she starts to believe in her name again and does not feel ashamed anymore. I would teach this book in kindergarten through second grade. This would be a great book to teach students about accepting others and accepting yourself for who you are. 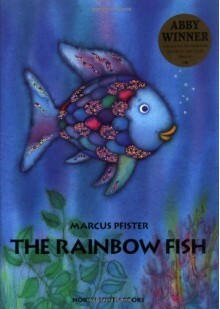 The Rainbow Fish by Marcus Pfister is a great children's book. The rainbow fish is the "most beautiful fish in the entire ocean" and he refuses to share his gills with any other fish in the sea. The rainbow fish's selfishness isolates him because no one wants to be his friend. Later on, the rainbow fish asked for advice from an octopus and then the fish "discovered how to be happy" by sharing his sparkling gills with his friends. I would use this book in kindergarten through the first grade to teach my students about sharing with each other. 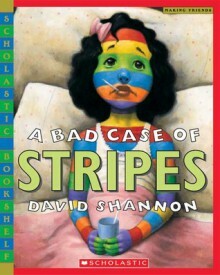 A Bad Case of Stripes by David Shannon is such an inspiring children's book to teach children about identity, and self-perception. The main character, Camilla, loves lima beans, but she is afraid to eat them in front of her friends because of what they will think or say about her. Throughout the book, Camilla stops eating lima beans because no one else eats them. The day after, she goes to school and her classmates realize that whatever they say to her, she becomes a pattern on her skin. Toward the end of the book, an older women comes to "cure" Camilla by giving her lima beans. I would read this book to my students to allow them understand that it is okay to be different. I would teach this to kindergarten through second grade. This would help teach students about character education and being true to yourself.